Bathroom renovation series – The mid-range bathroom renovation. 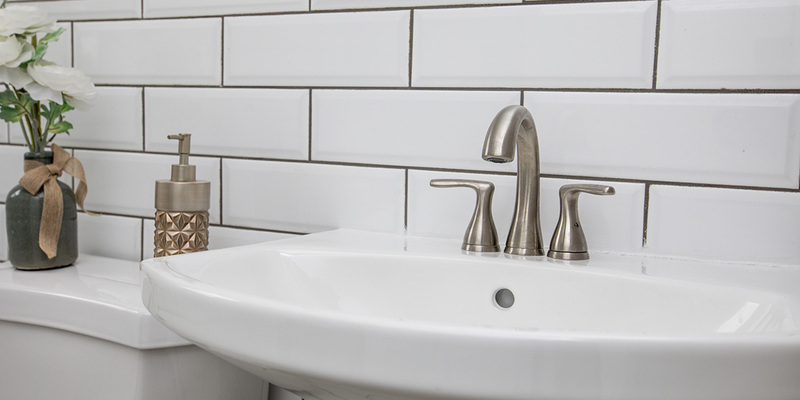 Part three in a four-part series of articles that looks at bathroom renovations and what to expect at different budgets and what you need to help you plan your bathroom renovation. 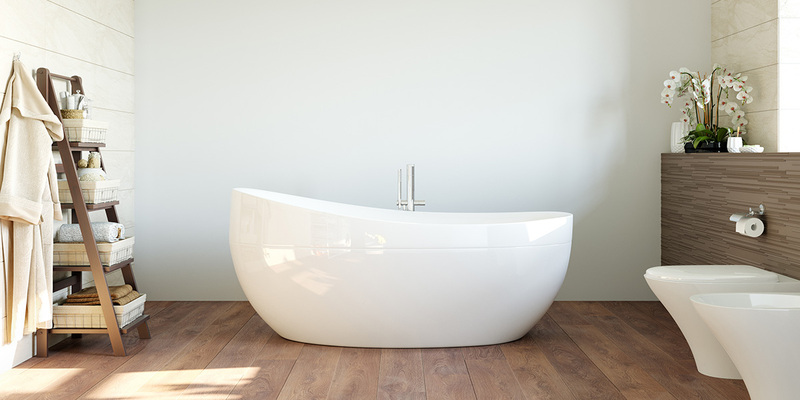 Location, cost of labour and materials all play a part in the costing of a bathroom renovation. The average bathroom renovation job in Auckland will definitely cost more than a similar job carried out in Greymouth. In the mid-upper range bathroom renovation, you could expect better quality fixtures such as a toilet with better flushing capabilities and taps that flow better. New features such as flooring, sinks, lighting, windows, countertops and mirrors can be of better quality. You’ll also have more variety to choose from than a basic bathroom renovation too. Perhaps a smaller bath and a bigger shower, or moving the sink and plumbing along to make space for a linen cupboard. You will have more choice in materials used for sink tops too. Custom granite, marble or quartz are now also options in this price range. Plus, you can make a few more adjustments to the layout. Maybe you’ll put in a slightly smaller bathtub to make way for a slightly larger shower. Or even slide a sink down and move the plumbing slightly to add a tall linen cabinet. When it comes to cabinets, consider something kiwi made that maximises the space available in your bathroom. If you’ve got an older home or bathroom see what kind of recycled timbers or materials you can use and include decorative door panels and cabinet legs. Make every inch of space count. Upgrade fixtures for ones with copper or bronze inside so they’ll last longer. With a mid-upper range bathroom renovation budget, you’ll be able to make adjustments to the plumbing. This is usually such things as moving the taps or shower. It’s likely the toilet will need to stay in the same place though. This is because it is often the ‘trunk’ of the drainage lines. Moving the toilet to another part of the bathroom means you’ll have to move the showerhead, drain and tap locations too. Porcelain tiles will be affordable and they’re more hard wearing and slip resistant than ceramic tiles. They also have a wider colour, size and design range. Low-end porcelain tiles are virtually indestructible. 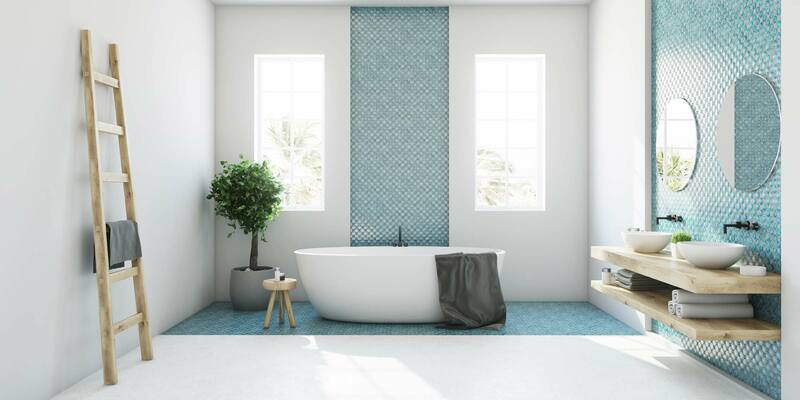 You’ll also be able to have more interesting accent tiles and borders and could afford tiling the entire room not just the bath or shower areas. Who to hire: It might be time to look at getting a project manager or builder to oversee this size bathroom renovation. They can supervise and hire designers, plumbers, decorators, tilers and other qualified tradespeople. Check what permits are needed and what you may need a registered plumber or gasfitter for. A mid-upper range bathroom remodel is recommended when: You’re doing a bathroom renovation for yourself and not necessarily because you are intending to sell and move. While you might be limited in space, you can still do a lot with finishes, fittings and fixtures and cabinetry.